About 400 years after the passing away of Shakyamuni Buddha, i.e. around 1 century BCE, the school of Mahayana Buddhism developed with a different emphasis, focus and aim of practice as compared to the practitioners of Early Buddhism (Also see: Early Buddhism's Model of Awakening). Examples of forms of Mahayana Buddhism practiced today include Zen, Pure Land, Tantric/Vajrayana (including Tibetan, Japanese Shingon), Tendai, and a number of others schools that no longer exist today or are absorbed into Zen (e.g. Huayan). Today, the number adherents of the Mahayana forms of Buddhism in the world have exceeded the number of adherents of the Theravada/Early form of Buddhism due to the extent in which Mahayana forms of Buddhism have spread into China, Japan and Tibet. The practitioners of Early Buddhism (of which Theravada is modeled after), or what Loppon Malcolm calls "Mainstream Buddhism" (because it was a much more commonly practiced form of Buddhism in the past in India), aimed to attain their own liberation or Nirvana by removing the afflictions (passion, aggression and delusion) that causes rebirth. Thousands of Buddha's students attained that goal called Arahantship. However, Mahayana Buddhism has a higher aim. Not only do they want to remove the causes for samsaric birth, they also want to remove all knowledge obscurations preventing the attainment of omniscience and Buddhahood, for the sake of liberating all sentient beings. Mahayana Buddhists feel that the scope of attaining liberation for oneself is too limited, so out of great compassion and for the benefit of all sentient beings, they want to attain the same Buddhahood as Shakyamuni. The practitioner walking the path to Buddhahood is called a Bodhisattva. ...The practice and engagement of the 10 paramitas (or 6) in the daily life becomes of utmost importance in Mahayana Buddhism, allowing the twofold cultivation of merits and wisdom so necessary for the attainment of full Buddhahood. It is in fact in the very mundane activities of daily life and interactions that allows us the opportunity to attain the ten perfections (paramitas) that allows us to attain full Buddhahood. The paramitas are not just 'mundane qualities', but the actualization of awakened wisdom - for example, the perfection of generosity is not just the ability to give lots of money to other people, but rather, the selfless giving freed from any confusion of a giver-giving-gift. The wisdom of the emptiness of self and phenomena allows our act of generosity to be perfected. When our giving transcends giver-giving-gift, without attachments we relinquish and give and sacrifice for other beings out of genuine compassion, that is true generosity. The cultivation of the ten paramitas in conjunction of the wisdom of emptiness is itself a method for the liberation of our mental afflictions, clinging, I and mine-making, as well as the cultivation of immense merits required for Buddhahood.It is said that at each of the ten bhumi stages, one of the perfections have been perfected. For example, the first bhumi perfects the perfection of generosity, second bhumi the perfection of precepts, so on and so forth. In short, in the Mahayana path, as Huayan Patriarch Cheng'guan explained ( http://awakeningtoreality.blogspot.com.au/.../httpssites...), the essential wisdom that allows for the twofold liberation of afflictive obscurations and knowledge obscurations is the wisdom of twofold emptiness. Then there is the emphasis on cultivating the paramitas. I translated an excerpt from 法语缤纷（2） by Venerable Shen Kai (my refuge Master) on the Mahayana Ten Bhumi Model of Awakening. Bhumi means 'Ground'. 1. 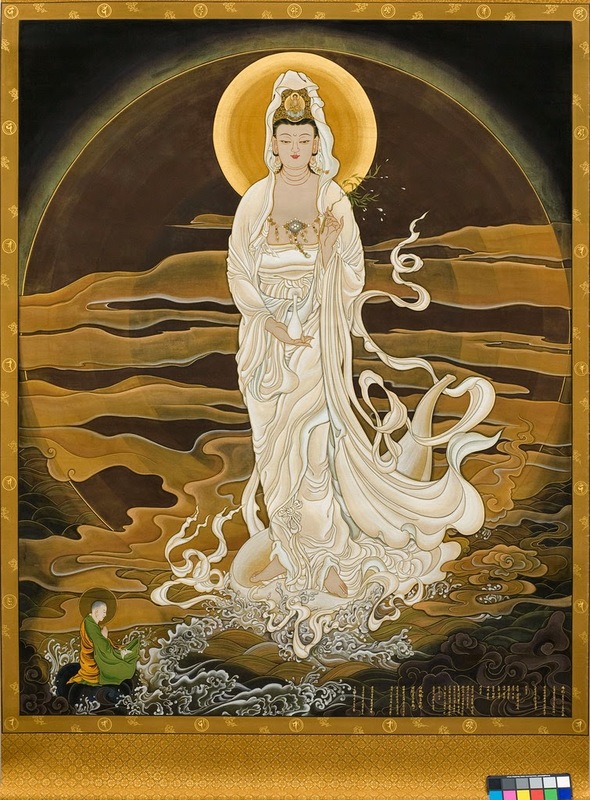 The Joyous Ground: The Bodhisattva's initial entrance into sainthood, breaking through the confusion of views, realizing the principle of twofold emptiness of person and dharma. (The Bodhisattva) gives rise to great joy, therefore it is called The Joyous Ground. At this ground, (one) accomplishes the Paramita of Dana (generosity) among the Bodhisattva Ten Paramitas. Commentary: View-Confusion - the various forms of delusional and deviant views, extreme views (e.g. eternalism/nihilism, existence/non-existence), self views, etc. Dana - Generosity, has the meaning of 'relinquishment'. Paramita - has the meaning of 'to the other shore'. 2. The Stainless Ground: accomplishes the Paramita of Precepts among the Ten Paramitas, eliminating (comments: more accurately, 'attenuating' in this case) the confusion of practice, removing the stain of immorality/precepts-breaking, resulting in purity of mind and body, therefore known as The Stainless Ground. Commentary: Confusion of practice -- also known as the confusion of thoughts. Due to practicing the Path, (one is able to) terminate passion, aggression and delusion, and other various confusion of strong afflictive emotions. 3. The Luminous Ground: Accomplishes the Paramita of Patience among the Ten Paramitas, eliminating (i.e. attenuating) the confusion of practice, attaining the Paramita of Contemplation. Wisdom reveals and manifests, therefore it is known as the Luminous Ground. Commentary: The Paramita of Contemplation - also known as the patience of the non-arising of dharma, also known as the non-rising patience, contemplating on the Truth and thereby resting in (the equipoise/knowledge of) non-arising. 4. The Glowing Wisdom Ground: Accomplishes the Paramita of Effort/Exertion/Diligence/Energy/Vigour, eliminating (i.e. attenuating) the confusion of practice, resulting in the blazing forth of wisdom, therefore it is known as the Glowing Wisdom ground. 5. The Difficult to Prevail Ground: accomplishes the Dhyana Paramita of the Ten Paramitas, eliminates (i.e. attenuates) the confusion of practice, integrating the twofold wisdom of the ultimate and conventional into seamless fitting, therefore it is known as the Difficult to Prevail Ground. 6. The Manifest Ground: accomplishes the Prajna Paramita among the Ten Paramitas, eliminating (i.e. attenuating) the confusion of practice, manifesting the utmost prevailing/supreme wisdom, leading to the manifestation/revelation of the absence of the distinctions of impurity and purity, therefore it is known as The Manifest Ground. 7. The Gone Afar Ground: accomplishes the Paramita of Skillful Means among the Ten Paramitas, giving rise to the heart of Great Compassion, eliminating (i.e. attenuating) the confusion of practice, leaving far behind the self-release of the two vehicles (Sravakayana and Praytekabuddhayana), therefore it is known as the Gone Afar Ground. 8. The Immovable Ground: accomplishes the Paramita of Vow among the Ten Paramitas, eliminating the confusion of practice, engages in the contemplation of signlessness; spontaneity and effortlessness/state of non-striving (任运无功用) is continuous and unceasing (相续), therefore it is known as the Immovable Ground. 9. The Virtuous Wisdom Ground: accomplishes the Paramita of Strength among the Ten paramitas, eliminating the confusion of practice, endowed with the Ten Powers, everywhere (one) is able to know whether (the sentient being) can be saved/released or not, (one) is able to preach the dharma, therefore it is known as the Virtuous Wisdom Ground. 10. The Dharma Cloud Ground: accomplishes the Wisdom Paramita among the Ten Paramitas, eliminating the confusion of practice, endowed with limitless merits, giving birth to the water of limitless merits, like a great cloud covering the empty sky, is capable of pouring down all kinds of pure dew and dharma rain, nourishing sentient beings, therefore it is known as the Dharma Cloud Ground. 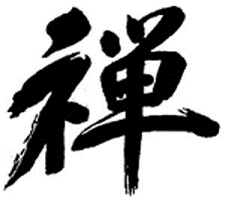 After the 10th bhumi, there is two more levels, known as 等觉 (equal awakening) and 妙觉 (marvellous awakening). The Bodhisattva at 等觉 level is almost equivalent to 妙觉 and is awaiting the chance to descend from the Tushita Heaven to become the next Buddha. An example would be the current Maitreya Bodhisattva. Is generosity (dāna) when it is done for the sake of beings. It is discipline (śīla) when it is free from self-interest. It is patience (kshānti) when it is done untiringly for the sake of others. It is heroic perseverance (vīrya) when it is done with vibrant joy. It is meditation (dhyāna) when it is done with one-pointed mind. It is wisdom (prajñā) when there is no clinging to it as real. The six perfections are never separate from such virtuous actions." Everyone has the innate ability to be perfectly awakened and act from the spacious expanse of spontaneous benevolence. However, our habituation to self-clinging and dualistic grasping obscure this ability and make us narrow beings. If these obscurations are removed, the six perfections (pāramitā) are naturally perfected. Conversely, by gradually cultivating the six perfections, these concealments can be transcended. That is the Way of Six Perfections as the path to awakening. As these six are perfected, one’s primordially pure nature gradually manifests to perfection as a Buddha, an awakened being. Cultivating these six perfections are not a separate spiritual project that one needs to perform outside all other activities of life. As Jigme Lingpa says, any virtuous action (i.e., anything that does not harm, but benefits oneself and others) can be performed as the confluence of all the six perfections. Thus, with training, one can turn every action of one’s life into another step towards Buddhahood.